Marlene Young Nungurrayi was born in 1970. Her area is Central & Western desert and her tribe is Pintupi. Marlene is married to Adrian Young Tjupurrula. 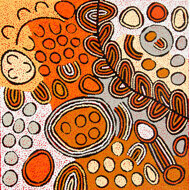 Her father is Tommy Lowry Tjapaltjarri and her adopted father is the famous Doctor George Tjapaltjarri. In this painting Marlene has depicted the area of her birthplace. There are various campsites and ceremonial sites with people being represented by the U shapes. It is at these campsites that dreamtime stories are told and womens ceremonies conducted. At these ceremonies senior women elders gather together to teach their culture & dreamtime stories to the young women. 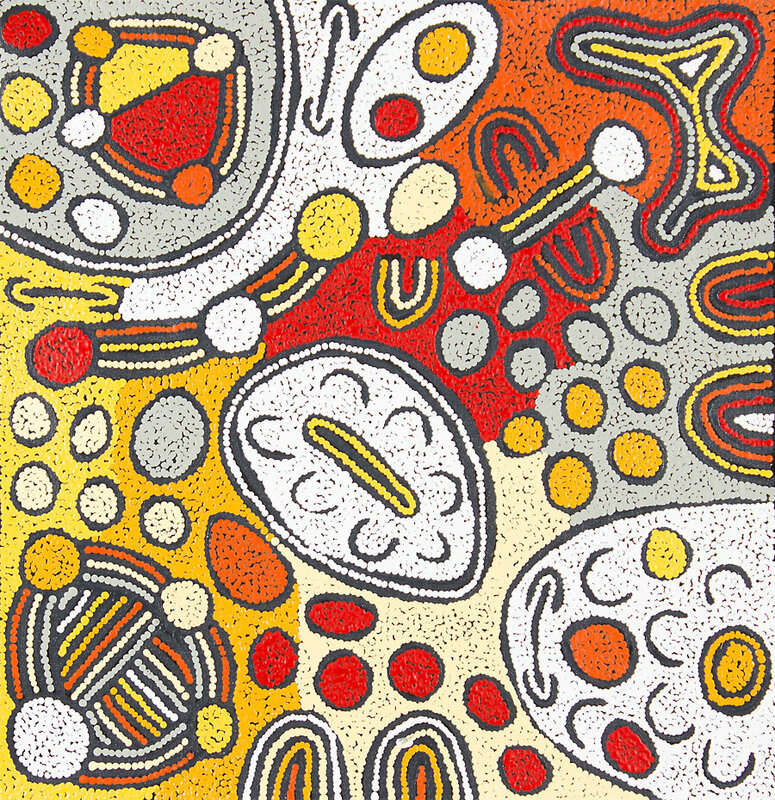 The different colours represent the land and the various rockholes and sandhills.